Fix it right, fix it for good! Charge and maintain any type of RV Battery! The Wildkat 4655L Main Board Assembly (Powered by Progressive Dynamics) is specifically designed to replace WFCO 8955 AN or PEC power center or Parallax 7155 lower main converter board but also works with other power center main boards like the Parallax 555/8355 and many others when only the converter section is needed. 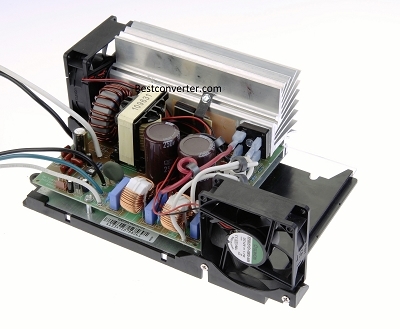 Dual fans cools the heat sink from two different directions. Includes the 4 stage Charge Wizard and 4600 series remote control with charge mode status LED and manual override button. Remote allows manual control of the Charge Wizard. User can select the desired charge mode (Boost, normal or float/storage) Helpful when using a generator while dry camping for a faster charge (Boost) of the batteries. Also can be manually selected to float the battery bank and periodically desulfate the batteries during storage. No need to ever disconnect shore power during storage. WHAT IS THE CHARGE WIZARD? 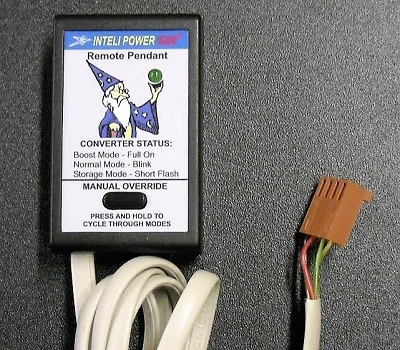 The Charge Wizard is a microprocessor-controlled device designed to operate with all Inteli-Power Converters. It constantly monitors the RV battery, then automatically adjusts the converter output voltage based on its charge status. The Charge Wizard has four (4) operating Modes (BOOST, NORMAL, STORAGE AND DESULFATION/EQUALIZE). Each Mode is automatically selected by the microprocessor and ensures a fast yet safe recharge for your RV batteries. The included fuse board has a light that indicates the Mode that the Charge Wizard is operating in as follows. LIGHT “BLINKS” ON AND OFF APPROX. EVERY SECOND. 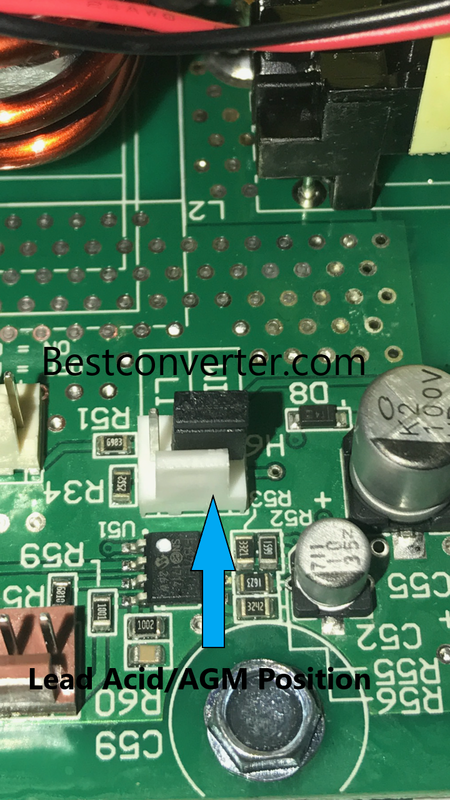 – The Charge Wizard is in the Normal Mode (Converter output voltage set to 13.6-volts). LIGHT “BLINKS” ON AND OFF APPROX. EVERY 5 SECONDS. 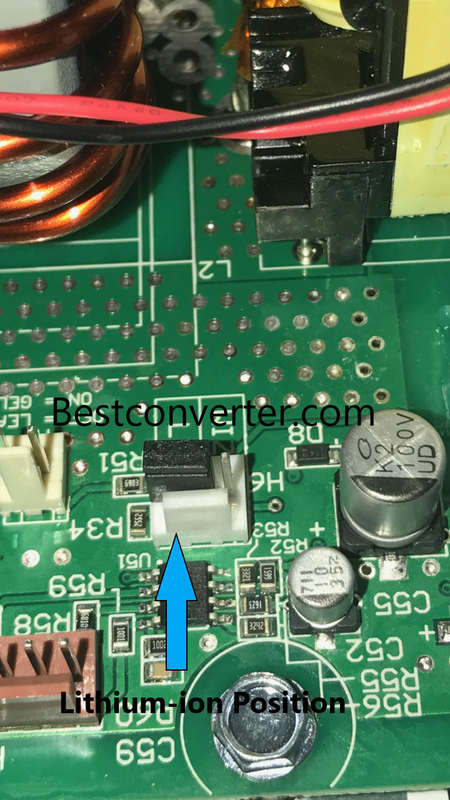 – The Charge Wizard is in the Storage Mode (Converter output voltage set to 13.2-volts). The Charge Wizard functions are fully automatic however; you can test the Charge Wizard’s functions manually by pressing and holding the MODE SELECT SWITCH BUTTON DOWN. When the button is first pressed, the light will be “ON” all the time, indicating it is in the BOOST Mode (converter output 14.4 VDC). If you continue to hold the button, the unit will switch to the NORMAL Mode (converter output 13.6 VDC) and the light will blink approximately once a second. 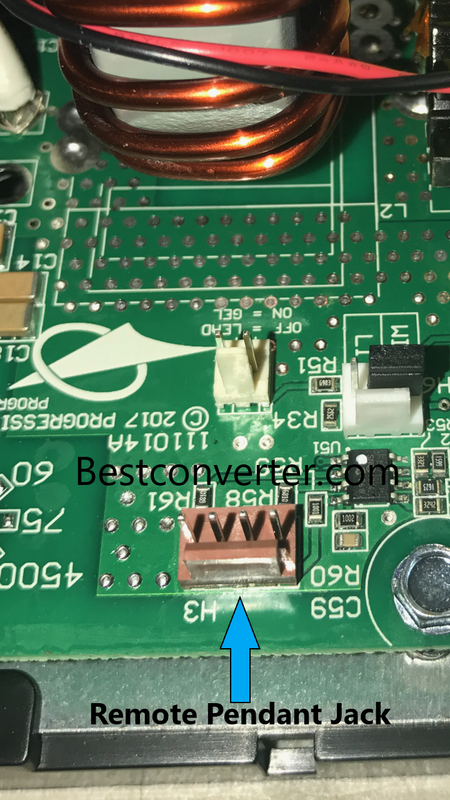 If you continue to hold the button down the unit will go into the STORAGE Mode (converter output 13.2 VDC) and the light will blink approximately every five- (5) seconds. NOTE: No matter which mode you manually select, the Charge Wizard will automatically return to the NORMAL Mode of operation after 4 -hours.